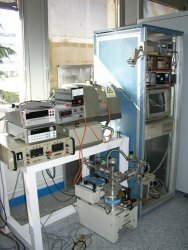 Spintec has developed a strong expertise in the fields of temperature-dependent magnetic and transport properties, sub-nanosecond magnetization dynamics, high frequency noise and near field magnetic probing. 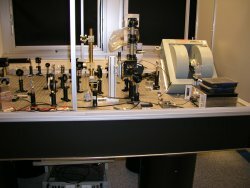 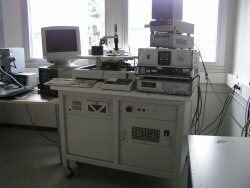 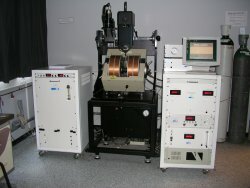 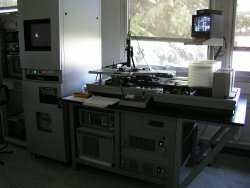 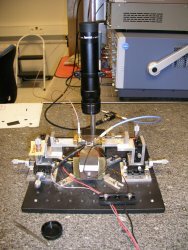 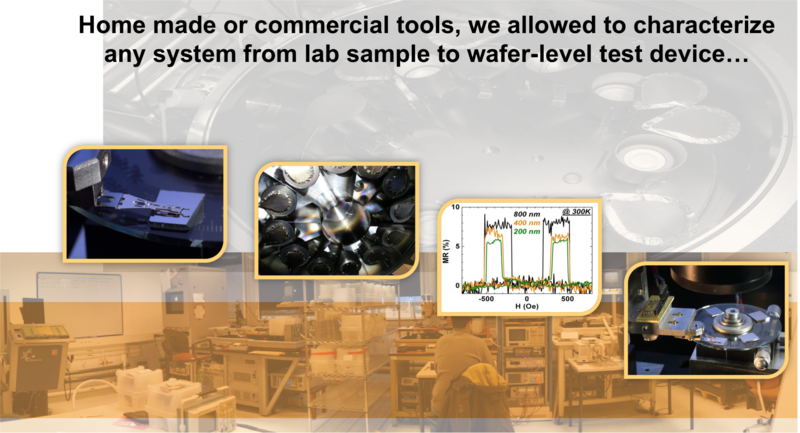 The laboratory is equipped with numerous experimental set-ups, whether home made or commercial, which allow characterizing any system from the laboratory sample to the wafer-level test device. 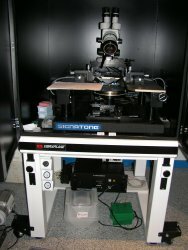 Pictures show some of our experimental set-ups.